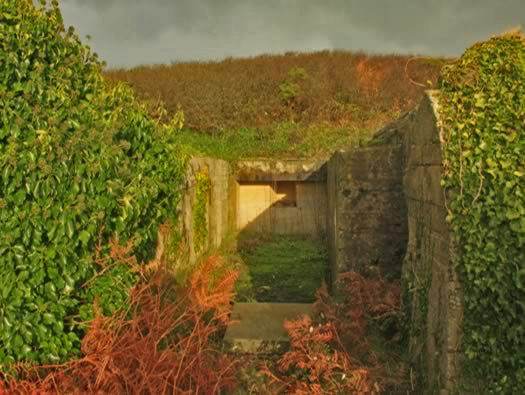 Wn Lo25 Le Locmiquel, Cote 40 Panzerwerk is situated to the western side of Lorient set back from the beach with Wn24 & Wn26 either side. 2 x R601. 1 x 5cm M19 mortar. 3 x Vf1a . 2 x Pak guns. 2 x R634. 1 x 7.5cm Pak 40. I have not visited this site but I have pieced together as much information as I can. This Wn looks to be an area Head Quarters site controlling the artillery and infantry along this part of the coast.. 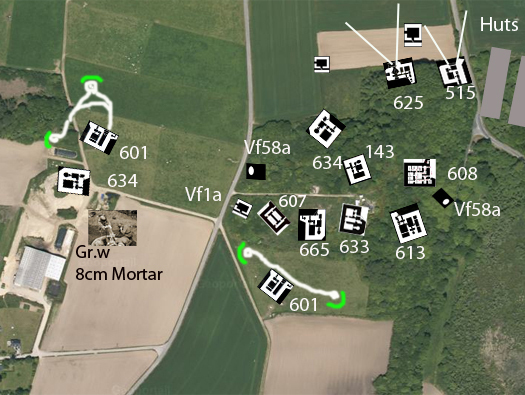 In the middle are two large bunkers, 1 x H613 an artillery observation bunker and an H608 battalion or regiment battle HQ. 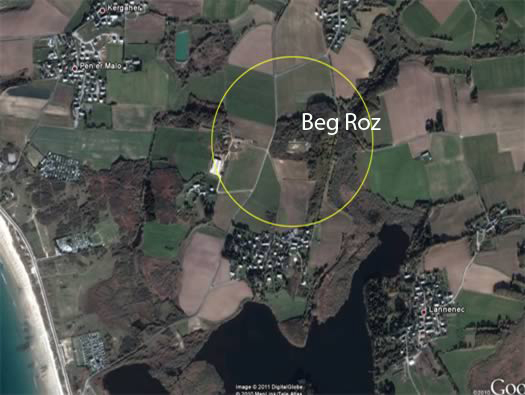 R608 Battalion & Regimental Head Quarters. 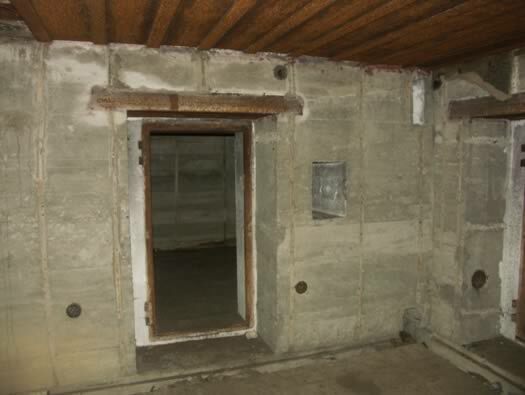 I have been in an R608 in Normandy a many roomed bunker for Battalion & Regiment Head Quarters. A bunker with an ammunition room, crew room, ventilation and an armoured cupola with an M19 automatic 5cm mortar. M19 crew of the mortar. 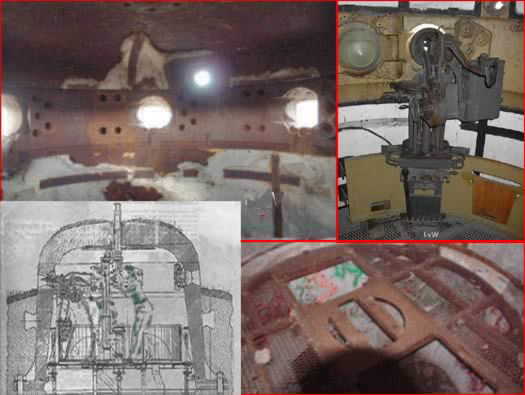 This is a six embrasure turret that could have been in the two H634's here. A special mount with a seat inside the turret/cupola (it did not turn) could be fired from any of the six embrasures, by opening a small hatch and moving the gun to it. A periscope at the top would be used for observation and sighting. 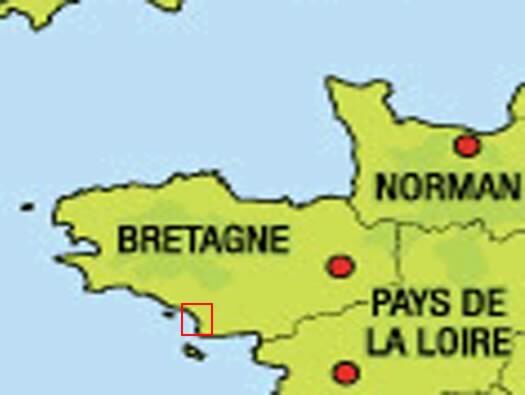 The two H601's are the same as the two at StP Kermorvan also in Brittany. 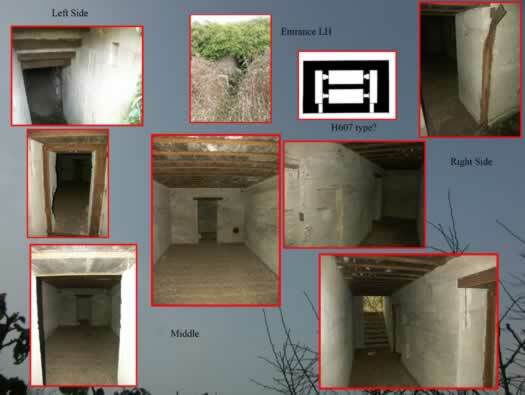 These are garages for antitank guns and they had a steel plate roof, a crew room, ammunition & a store room. 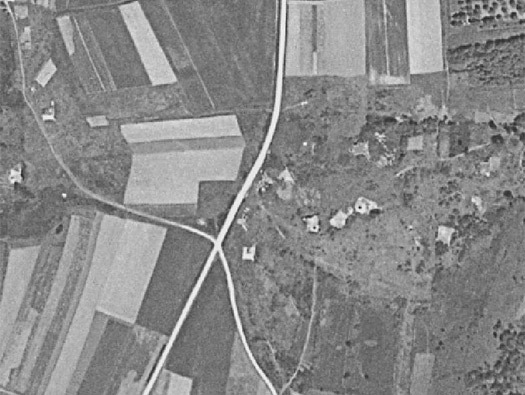 R601 with the garage on the left, store room and below ammunition. 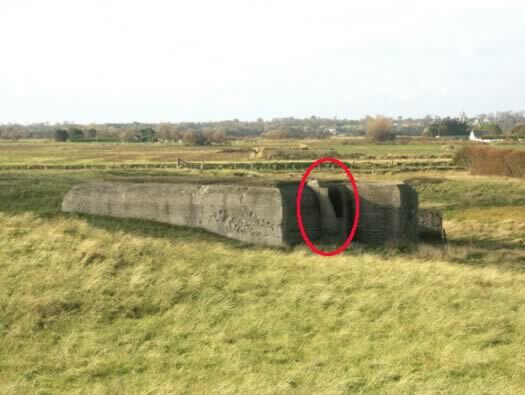 This is an H607 ammunition bunker at Utah Beach Wn1 and shows what it is like.